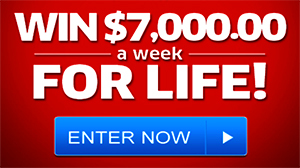 There are countless ways people can make money online. One of the most popular methods of earning online income is completing surveys. You can get cash payments for completing online surveys on some survey sites. Other survey websites will use another form of incentive, like rewards or points to get your precious opinion. 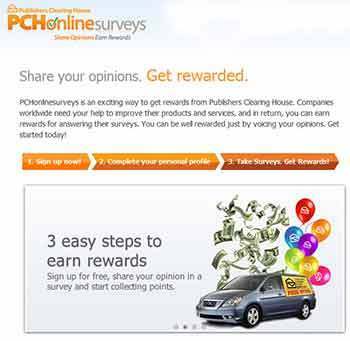 PCHonlinesurveys at pchonlinesurveys.com is one of them, completing their surveys is an exciting way to get great rewards from Publishers Clearing House. My Survey at mysurvey.com is a another one where you can get rewards for free money, gift cards, cash coupons, discounts and vouchers. Continue reading to find more about those online survey panels and how it works. What are online surveys and why do companies pay for them? An online survey is a list of questions consumers can complete on a specified website. These questions may be about a specific product or the consumer’s everyday life. Companies worldwide need your help to improve their products and services, and in return, you can earn rewards for answering their surveys. You can be well rewarded just by voicing your opinions. The information in these surveys is very valuable to businesses. How a consumer acts, thinks and feels impacts the way they shop. Companies are willing to pay money to find out information that could improve their products and/or services. If the information in surveys is used correctly, businesses could experience an increase in sales. This reason alone makes companies take surveys very seriously. How do people make money by completing online surveys? A survey company acts as an intermediary between consumers and companies. They will find consumers to take surveys in exchange for a fee from the company requesting the information. Part of this fee will be paid out to the person who completes the survey. People who want to make money this way will need to find a survey website. Once they have done this they can apply to fill out surveys. Most companies will ask participants to provide them with their personal details. When a survey comes up, the website will search for a candidate that meets the company’s criteria. For example, sometimes businesses only want people aged between 18-30 to fill out their surveys. While these surveys pay well, they are not consistent. Sometimes workers will get asked to complete several surveys and other times they may go months without a survey request. In short, this means that completing surveys can be an unreliable source of income. That being said, many people consider it an excellent way to make some extra cash for very little effort. You can get started today! I really wanted to win this April. I received a certificate of title for $1,000,000. I thought I was going to win that. But it was not my. Time. I hope to win this time soon. I will not be putting alot in but I will still enter.